It's been a long time in the works but Bo Gonzalez, owner of Bravas Food, went before the Indiana Alcohol and Tobacco Commission this week to get approval for a two-way liquor license. And he got it Tuesday. Soon, the Fairfield Avenue burger joint will be selling beer and wine, although Gonzalez says it will be a while before the restaurant is set up to serve because some minor changes need to be made. Gonzalez is also hoping to have a cheaper beer option, a can that costs $1 or $2. The license could also afford the opportunity to sell wine and mimosas at special events such as the restaurant's WTF Sundaze. Gonzalez is not alone in his request to see a liquor license. Smaller restaurants, and some you might not think of, are applying for the chance to sell beer and wine. John Maxwell, who operates NOLA on 13 in the Indiana Michigan Power Building, shared plans to apply for a license. The New Orleans native and former food truck king hopes to be able to serve beer and wine at the downtown spot, especially for events like a Sunday jazz brunch. Banh Mi Pho Shop applied for a license and now sells boozy versions of its popular boba teas. Some area restaurants are making plans for the subzero temperatures and wind chills expected today. • Paula's On Main, 1732 W. Main St., will be closed today. • Hop River Brewing Co., 1515 N. Harrison St., will be closed today. • Lindi's, 256 W. Main St., will be closed today. • Ryu's Kitchen, 2461 Hobson Road, will be closed today. • All Casa restaurants will be closed today. • Dawson's Dogs, 3213 St. Joe Center Road, says it will likely be closed if the temperatures are as cold as predicted today. • Moose Lake Christian Craft Village and its restaurant, 11330 E. 500 S. in LaOtto, will be closed until 8 a.m. Friday. • Copper Spoon is taking a different approach. Today only, the restaurant at 301 W. Jefferson Blvd. will have a shuttle service to get patrons to and from their cars parked downtown. It will be open regular hours, 5 to 11 p.m.
• The Hoppy Gnome, Proximo and BakerStreet are open regular hours today. • Don Hall's Gas House, 305 E. Superior St., is open today. According to its Facebook page, the restaurant will give customers a percentage discount equal to the number of degrees below zero the air temperature is at the time of their arrival. • Cosmos House of Pancakes is open at its Canterbury location, 3232 St. Joe Center Road. The Lima Road location is not open today. • The 07 Pub, 3516 Broadway, will be open normal hours today, 4 to 11 p.m.
Other area restaurants may be closed or have reduced hours. If you are planning to head out to get food, call ahead to make sure the restaurant you are planning to visit is open. 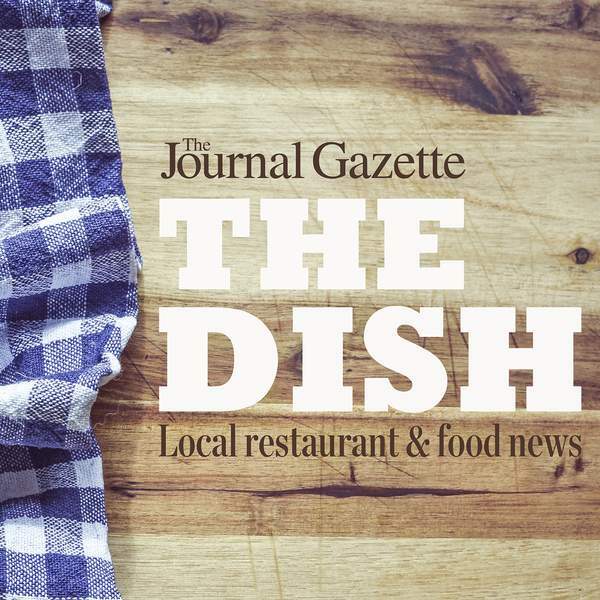 Though Waiter on the Way owner Derek Berkes told The Journal Gazette earlier this week that the delivery service would be open, a message on its website now says it is closed today because of the weather and the number of restaurants that have closed. Tolon, the downtown farm-to-fork restaurant, is getting in the brunch game. Beginning this weekend, chef Matthew Nolot and his team will be serving guests from 10 a.m. to 2 p.m. Saturday and Sunday. Brunch – part breakfast, part lunch – has seen a growth in popularity in recent years. Restaurants across the country and locally are using the weekend meal as a way to flex their culinary skills. And diners can enjoy favorite restaurants at an often lower price point. The menu will not be available until Thursday when Nolot shares his creations via social media. The Super Bowl is this weekend, and it's not just one of the biggest TV events of the year but a big snacking opportunity, as well. • Olive Garden is offering catering delivery on its take on chips and dip – lasagna dip with house-made pasta chips. Other catering options include Parmesan zucchini bites, fried mozzarella and Italian meatballs. Each delivery order comes paired with Olive Garden's house salad and breadsticks. • Pilot Flying J, which has a location at 3105 S Doyle Road in New Haven, is offering guests a free slice of pizza Sunday through Feb. 10 when they use the Pilot Flying J app. First-time users receive a free drink of their choice when downloading the app. The annual wine tasting at St. Nicholas Church, 3535 Crescent Ave., will be from 6:30 to 8:30 p.m. Feb. 9. There will be Mediterranean appetizers, music, silent auction and wines provided by WineTime. Vosges chocolates are available for purchase. This is an adult event, and tickets are $25 a person; to purchase, call 484-2277. Proceeds go to the Charity and Benevolence fund. Corey McMaken of The Journal Gazette contributed to this column.